One activity not to be missed during your summer vacation in Jackson Hole is a ride up the aerial tram in Teton Village. In the winter, skiers load into the tram to get taken to the peak of Rendezvous Mountain. In summertime, people of all ages take the tram to the top of the mountain to enjoy breathtaking views of the Jackson Hole valley. We recommend people take a ride up the tram on their first day in Jackson Hole. That way, someone unfamiliar with the area will gain an understanding of the terrain and area from a bird's eye view. You may purchase your aerial tram tickets ahead of time or upon arrival in Teton Village. There is rarely a wait in the summer time, as it will run every fifteen minutes or so. Once you board, you will be taken up 4,000 vertical feet, to the top of Rendezvous Mountain in just fifteen minutes. 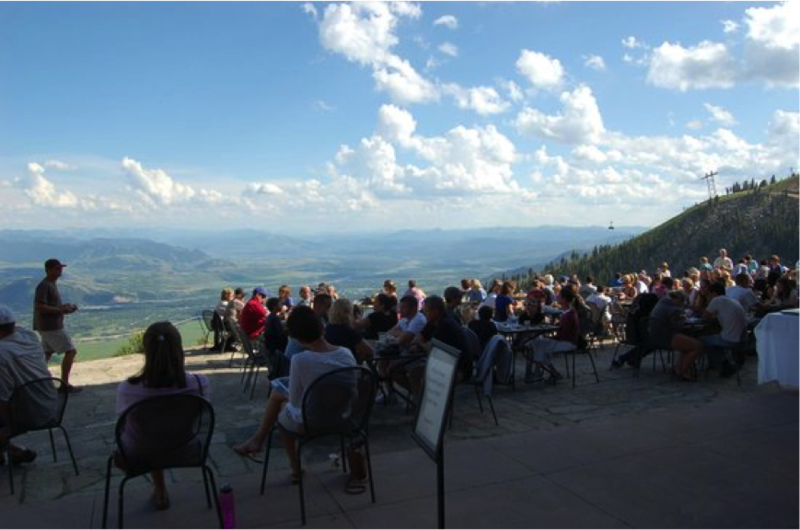 On the way up, enjoy the spectacular views of the Jackson Hole valley below. To the north is Yellowstone and to the south you will see the ski runs on Snow King Mountain, which is the southern border of the town of Jackson and the Snake River Range. You will also see the Gros Ventre mountain range across the valley. These mountains are the eastern border of Jackson Hole. Don't forget to have a local point out the Sleeping Indian while you're up there! At the top of Rendezvous Mountain, make sure to stop by Corbet’s Cabin, for a taste of their world-famous waffles, and even more gorgeous views of the Teton Range to the north. 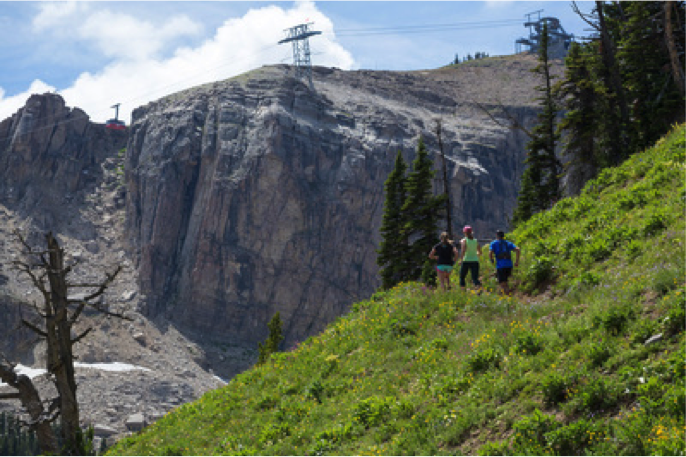 One popular option is to hike down the front side of Rendezvous Mountain, either back down to the base area, or to the popular Deck area at the top of the Bridger Gondola. 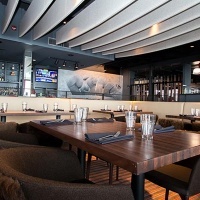 You can enjoy more food and beverages at the restaurant there and take the Gondola back down to the base. Another option to get a little farther into the mountains, would be the Rock Springs Loop, which will take you past Cody Bowl, and into an area called Rock Springs. This loop is about a four mile round trip, and will take you into an alpine environment, down into a high mountain meadow, and finally back up to where you started, at the top of Rendezvous Mountain. Lastly, for the very ambitious day hiker looking to truly spend the whole day, or even longer, in the mountains, Granite Canyon is just off the backside of Rendezvous Mountain. 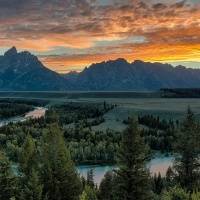 This area provides numerous options, including the start of the famous Teton Crest Trail. Word of warning though, all of the trails in Granite Canyon are very strenuous, and can be as long as an 18 mile round trip. 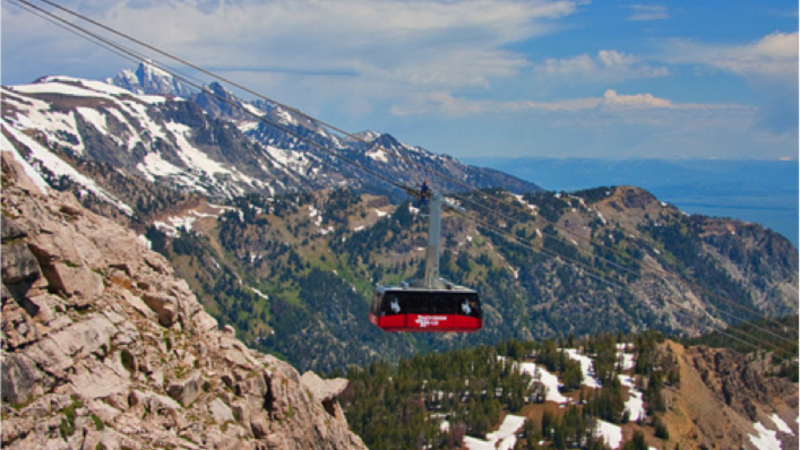 With this many things to do at the top of the Tram, it is a summer activity here in Jackson Hole that should not be missed. Whether you want to enjoy a mellow hike to The Deck and enjoy some outdoor dining, or are looking for something a little bit more adventurous, the Tram has something for everyone visiting Jackson. 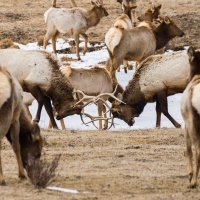 Call Jackson Hole Central Reservations today at (888)-838-6606 to book your Aerial Tram tickets!